If something doesn't look like its showing after making changes, this is your best bet. Clearing your cache is often the first step in troubleshooting. Below are detailed steps on how to clear your cache on Google Chrome, Mozilla Firefox, and Windows Internet Explorer. At the bottom of the article you will find a website where you can check to see your cache has been cleared. 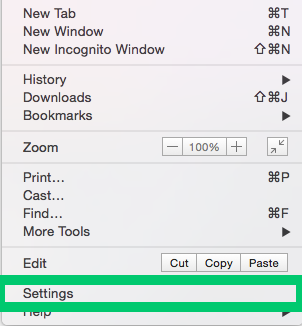 Access your chrome settings by selecting the three dots to the right of your address field. 2. Select Settings from the dropdown menu. 3. Scroll down and select Advanced Settings. 4. 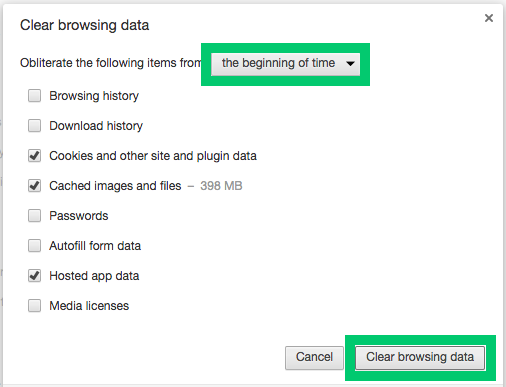 Scroll down until you find the Privacy heading and select Clear Browsing Data. 6. Select Clear browsing data. 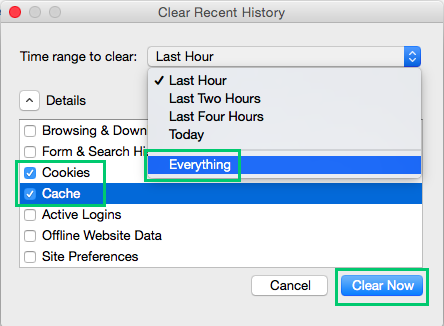 Access Clear Recent History from the History menu. 2. Choose Everything from the Time range to clear: menu. 3. Click the Details button to see a drop down menu. 4. Check boxes Cookies and Cache.5. Choose Clear Now. 6. Select the refresh button on the right of the address field.